The product for electrical design in MasterConcept is called elMaster and has been used by Swedish and International industry since 1985. The advanced object oriented platform with a high automation functionality helps our customers to steamline the time during design while the quality is increased in engineering. The seamless integration between design CAD tools, database and document management creates efficiency and higher precision in the workflow for both new projects and refurbishment projects. The solution suits all types of design for electrical power and automation. This solution is developed to support design engineers such as cabinet suppliers and technical consultants within plant design area. The system can be used to draw classic documentation such as circuit diagrams, singel line diagrams and connections diagram as well as cabinet layout drawings. 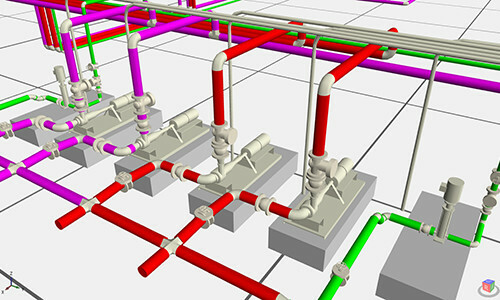 All these CAD-Applications are connected and integrated with the design database where the design objects are stored in one data centric model from which users can print out all reports such as connection tables, cable lists or apparatus lists. In fact, Ides MasterConcepts database has a multidisciplinary design. It means that all applications store documents and common data in the central data model. Ides CAD-Driver connects then CAD-Applications together to database so that engineers can share the same data. Through Ides CAD-Driver, graphical elements such as lines, texts or 3D elements such as pump, wall and door etc. in the CAD model can be connected together to a structural object in the MasterConcept. Those who are working with electrical design can easily and rapidly obtain information from other process, mechanical or BIM design engineers. The application for electrical design, elMaster, is performing within two main platforms where CAD application which is based on AutoCAD connects with a database that is running on Oracle, two of the world´s most widespread technologies in their genre. Except advanced management for electrical engineering such as cable and wire management, Ides´system supports even relations between I/O signals and channels which can be reused in the CAD environment for instrument or lopp diagrams. The solution has built-in function for document management that handles all technical and office documentation. The electrical design system can manage cables and wires outstandingly with or without CAD application. Users can use a traditional way to draw various diagrams such as electrical circuit and singel line diagrams as well as cabinet layout drawings with more than 5000 different symbols. All are based on international standards. elMaster has the functionality of creating and managing cable paths, which makes elMaster unique. Functions to create and manage cable paths is required when engineers calculate ducting ´s dimension and assess risk in critical systems. Thus, the system keeps track of the location that a specific cable is routed through out the whole plant. Expand your system´s functionality of Cable Routing with cable routing program and gain control of dimensions and used fill rate. The system calculate the shortest cable path which could be cable ladders, cable culvert and cable pipe. Technical document management means to overall handle any kind of complex 3D design models. 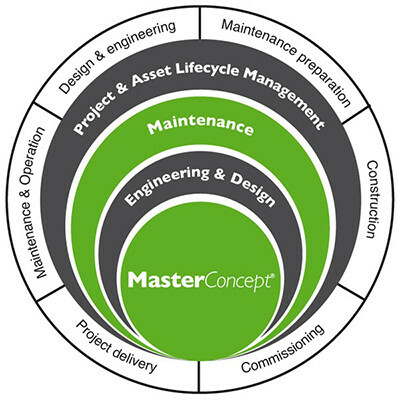 Therefore, MasterConcept unifies all these applications under one and same document management in order to track the project in a better way and keep the design from spreading in different systems. With one integrated system for technical asset information and maintenance function, users can always access to the latest technical information when searching error and planning project and work such as work force and purchase activities. Error report can be used during all phases of project and daily operation. It is available for everyone. Ides electrical application elMaster supports the creation of CAD drawings while the design database is filled up with the data either from the circuit diagrams and symbols or interface on which someone registers manually. 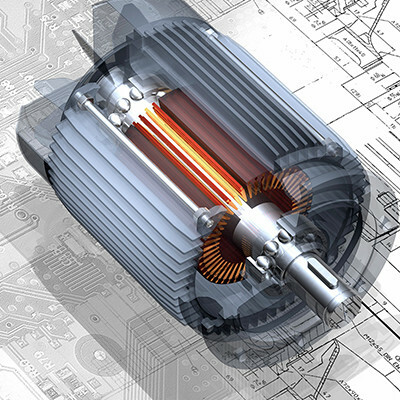 It could be someone in team who creates the Motor object, connects the cable in both motor and switchgear either direct in the database or using our CAD application as the interface to achieve the same result. A task that needs to be done during the system design phase in a project when drawings are not avaible.